Few years ago, we only could watch the bird box camera over our TV. Now we can easily access the bird box live over mobile phone or laptop. The IP bird box camera is not only a video capture device, but also a complete bird watch system in single device with web server built-in. Technically speaking, it is computer with built-in server. 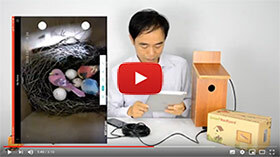 You may want to integrate the bird box camera live to your customized web page or application. This article will cover the basic information how to integrate an IP based bird box camera. When you try to login the bird box camera thru Internet Explorer, it will push small program to your system such as web.cab. The active X plugin is built-in to the camera’s firmware. 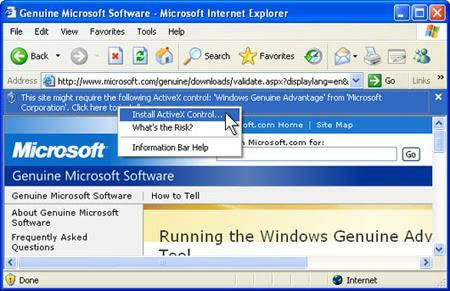 Usually, the system can install the active X automatically. However, there may be some causes it is failed to install the active X, You will need to manual download and install it. After install the active X successfully, you will be able to login the bird box camera and watch the live. With active X, you can have full access the bird box camera including live, playback (WiFi bird box camera only), configuration. The active X allows you connect the bird box camera directly. 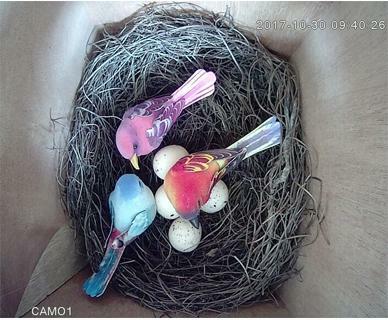 The IP bird box camera only can accept 3-5 users watching at the same times. This solution is not suitable for mass accessing to the cameras. Follow the OCX development demo, you can develop your own webpage with Active X technology. With URL command, you can catch the snapshot from bird box camera on various web browsers. It works on windows, linux Mac or mobile phone. Here is the command. The URL command only can take the snapshot from the camera sub-stream. To change the resolution of sub stream, you will need to login the bird box camera on your computer, Find the camera setting, enter system, find the encode. You can choose the sub stream up to 704×576. This URL command can be embedded to your web page, once the user refresh the page, it will deliver real time snapshot from the bird box camera on your web page. Here is the snapshot sample. There has limited connection to the RTSP streaming which is similar as active X technology. The bird box camera can’t stand mass connection synchronously. Generally you need to gateway to receive the live stream from bird box camera and re-distrubute to your web application. One of the free and open project call ‘WebRTC’, You can build the web brower re-distribution without any plugin cross the platform. Simple running the RTSP broadcast servers also an option to send the RTSP streaming for mass accessing online. The above is the general information to integrate bird box camera on web page application. If you are trying to build the application on desktop even more, you may consider the SDK for bird box camera or Onvif protocols. The SDK cover linux windows Mac and mobile phone. It requires more codec programming. Find us on facebook if you want to talk to us.